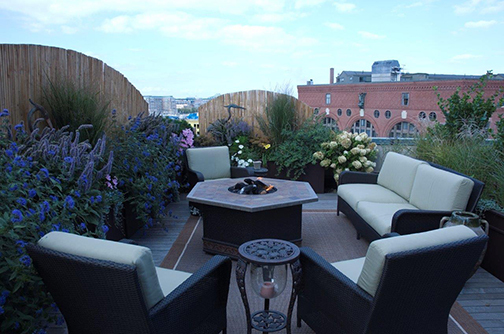 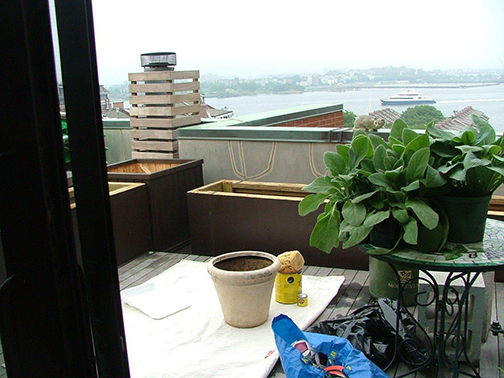 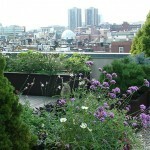 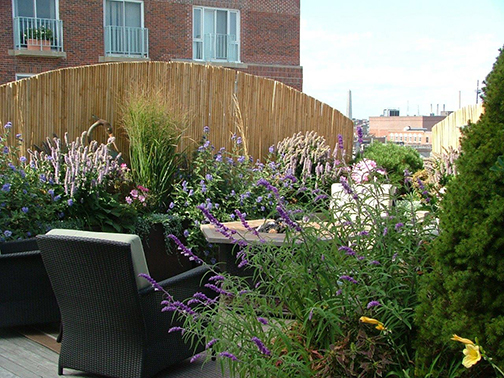 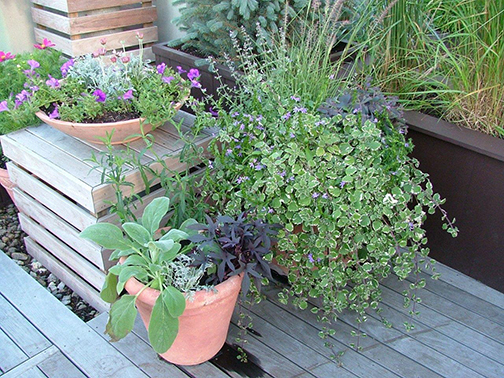 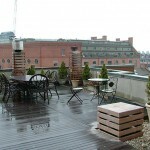 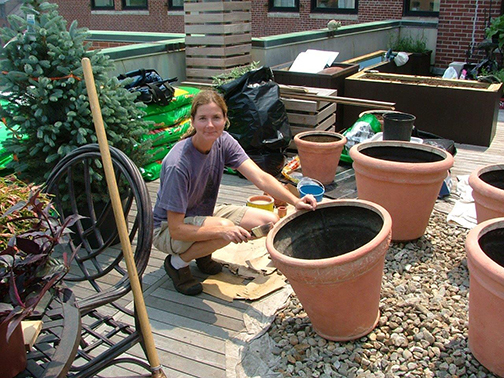 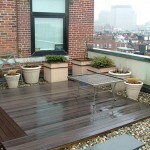 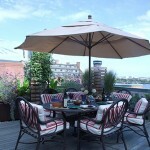 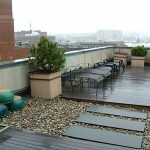 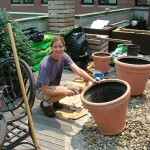 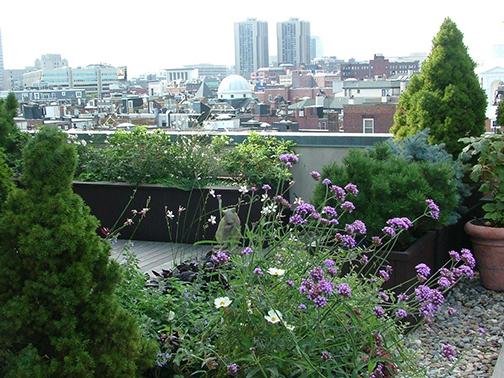 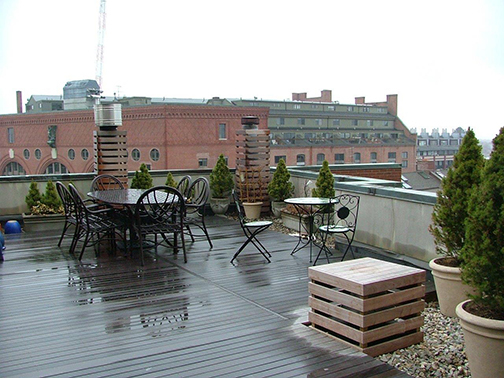 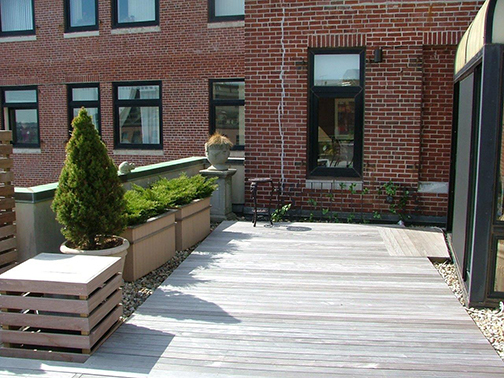 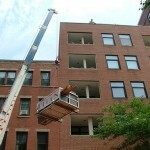 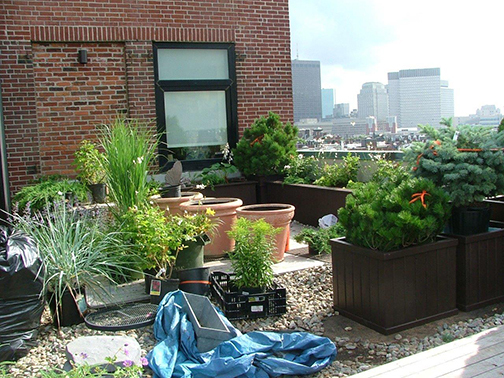 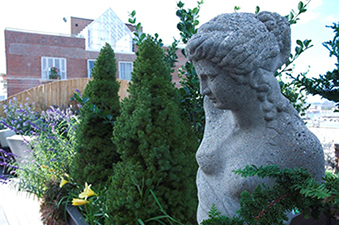 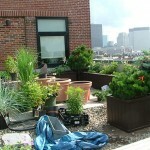 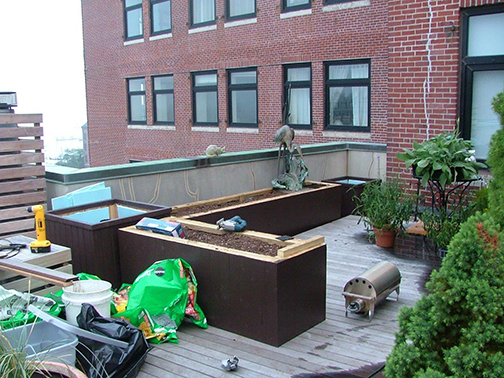 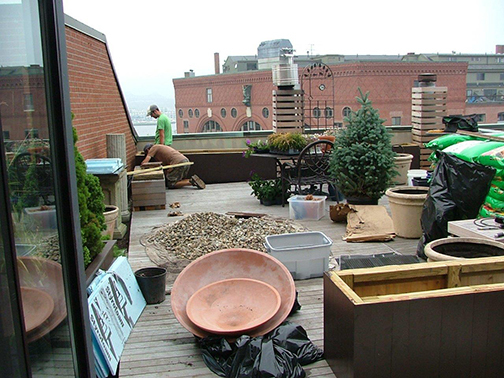 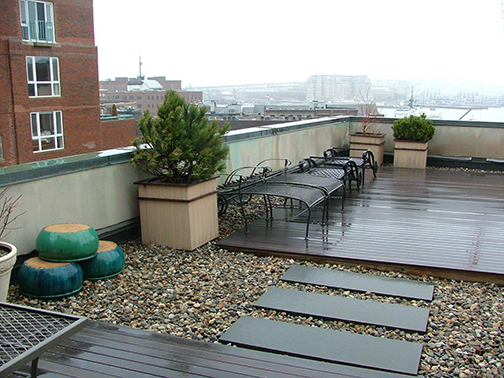 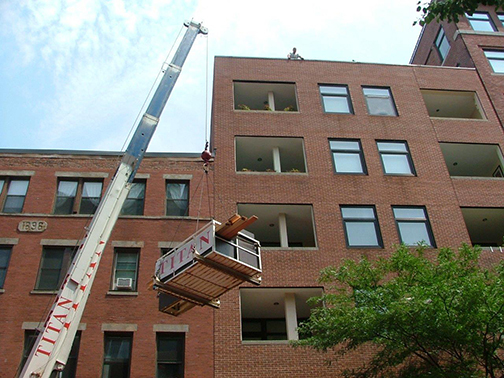 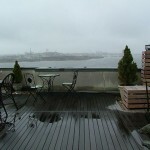 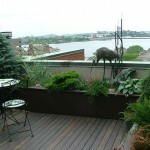 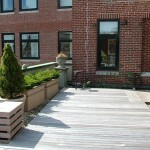 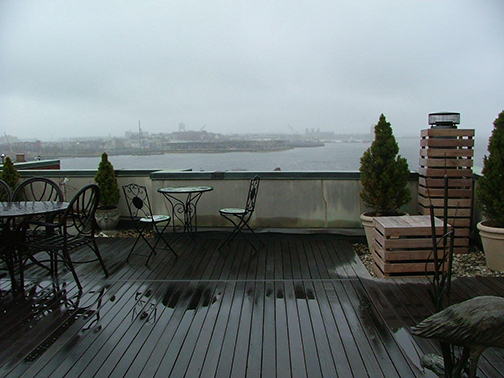 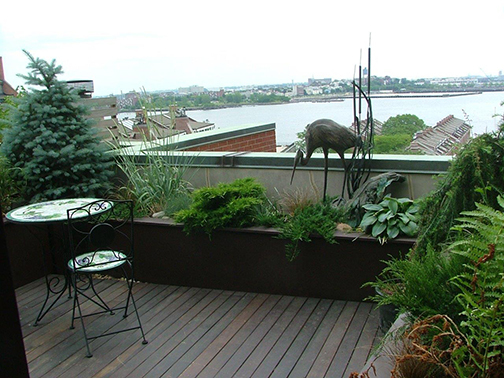 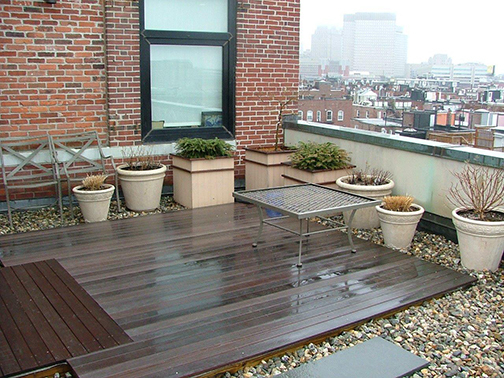 One of our most challenging projects involved creating an urban sanctuary on a 2000 square foot roof deck in downtown Boston. 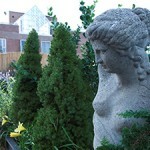 Our client wanted to break up the hard lines and angles and feel like she was surrounded by gardens. 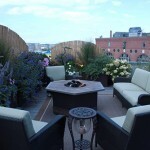 We started by dividing the large, overwhelming space into more intimate, welcoming “rooms”. 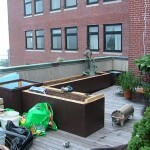 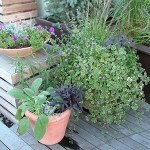 Custom planters were built for each room to define and divide the spaces. 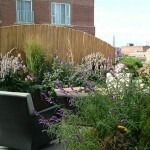 Evergreens provided structure and privacy while various grasses and hardy perennials added fragrance, movement and color. 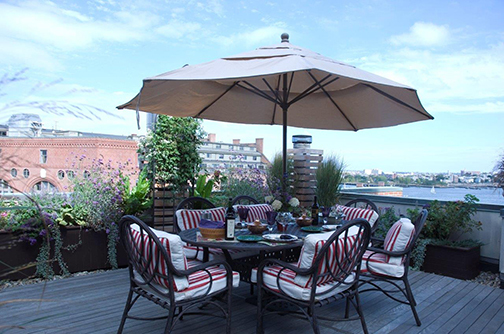 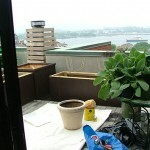 A large collection of container gardens complemented the design while not obstructing the nearly 300 degree views of Bunker Hill, the Zakim Bridge and Boston Harbor.